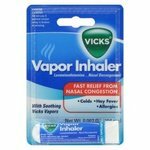 This is really the only product that has taken care of all my cold symptoms to which I can get up and do things. However I did not know that I was sensitive to one of the inactive ingredients which I'm googling is the maltitol, makes me very gassy. I would recommend it just try and make sure your not going to a public place if you happen to be sensitive to some of its ingredients or you might be turning some heads....just not in a good way. It works but gave me strong gas, I stopped taking it . I have tried many cold medicines, and this is by far my favorite. The warming is comforting and soothes instantly, which is nice. In addition to the warming, I feel that the active ingredients in this medicine are very effective in combating the usual cold symptoms (fever, sore throat, aching, congestion, and cough! I felt like I only had a minor teeny-tiny cold after taking this medicine in the heart of illness-aches went away for the most part and I could actually breathe! It also helped with severe coughing which can make you gag (awful) which was a huge plus for me. This medicine did not make me feel groggy or sleepy which was wonderful as I felt like I could still get things done without feeling like a zombie. The taste really is not that bad, although when I am feeling very ill I will take almost anything to help my symptoms so this may be a personal thing. You can definitely tell when it has worn off and time to take some more! Once I've tried it, I've never switched! I've probably tried every over the counter cough, cold and flu remedy there is out there. I don't remember what got me turned onto Theraflu, probably a coupon I had, but I'm certainly glad I did. I keep three different varieties of Theraflu in my medicine cabinet. I swear by it and will never switch. You don't try to fix what isn't broken. With this particular variety, all I need is one capful and within a very short period of time, I am feeling like getting up and getting going. It's very warm and soothing going down and does not make you drowsy after taking it, so you can get on with your day. Until recently I suffered from a very bad ulcer and I could take Theraflu and not have any stomach burning from it like I did with other cold and flu remedies. It eliminates that heavy feeling in your chest from congestion very quickly and it stays away. I usually only have to take about 2 doses of Theraflu and my symptoms are gone. If you have a sore throat, it soothes it right away and keeps it away. This product works so good, you only need to buy one bottle and you know you will be feeling back to normal in no time. I have used other products that I ended up having to run back to the pharmacy and get yet something else to try and get rid of the heavy congestion and sore throat because it just plain didn't do any good. Theraflu works and works fast and doesn't make you feel like you've been medicated after you take it. 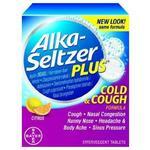 Best cold and flu product on the market! Don't forget to keep the nighttime variety handy to assure a good restful nights sleep free of coughing, and stuffiness. This product is awesome! The medicine does what it says it will do, and the warming sensation gives you that feeling eating a bowl of soup gives you. What's great is it does all of this without making you drowsy. I love the warming sensation, and although this stuff tastes terrible, it works great! 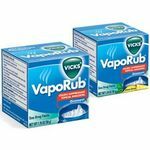 it also works quickly, bringing relief to my symptoms almost immediately. It didn't make me drowsy at all, so I could get to work. I had no problems using this and driving long distances. The bottle is impossible to open!!! I finally took a drill bit and drilled a hole in the cap. Thank goodness the bottle is plastic so I was able to squeeze the bottle to fill up the plastic cup. I googled "how to open a bottle of Theraflu" and found out I'm not the only one that couldn't open the bottle. Like most people I simply don't have time for colds. Between a busy household, kids, work, husband, well you get the idea no one wants to lose sleep or be miserable all day because they don't feel good. 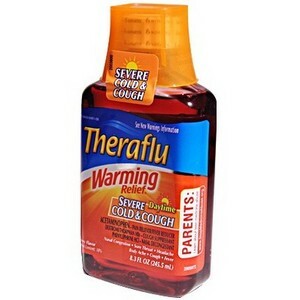 **Theraflu Cold and Cough **is one of my "go to" products when I want to got to sleep and get better soon. I like **Theraflu Cold and Cough **because I can easily take the medication with me in those little packets. It doesn't make me drowsy, but since it relieves those other yucky cold symptoms it does make it a whole lot easier to get some rest, which is exactly what you need with a big bad cold. You just open the packet and add hot water and drink it down. No, it doesn't taste as good as some hot tea, but it does accomplish more than tea does. What's in it? I don't know, and don't really care. I like how my throat feels when I drink it. That works for me. Congestion Relief **Theraflu Cold and Cough** is a comforting, effective, soothing cough and cold medicine that is easy to find in the store and doesn't cost too much. Theraflu Day Time Saves the Day! I had a really bad cough and bought Theraflu warming syrup because of the wording being for "Severe cold and cough," well I have to say I have extremely pleased with the results. The taste of these types of medicines are usually very questionable, but I loved the taste of this medicine! You could totally taste the cherry flavor. Yum. At first, after taking the 2 tablespoons you're supposed to, my coughing was more "rough." I guess this is supposed to help because after I began constantly taking it my throat hurt less and my cough was less and less. Although, I felt instant relief on my irritated throat, I don't think It helped my other symptoms much. The "relief" didn't last long though. It would be nice if after, 30 minutes, you could still have that nice sensation still going. It didn't help my runny nose at all. It's a good price for the quality. 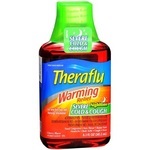 If you need a working/good tasting medicine for that cold/yucky cough definitely give Theraflu a try! It made the day bearable enough. Theraflu daytime severe cold and cough is great! My favorite one to buy is the syrup warming kind! 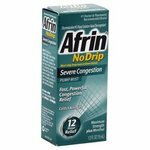 It quickly relieves my symptoms, and lasts a long time! It can be used to relieve nasal congestion, body ache, sore throat, cough, fever and headache. I have never gotten drowsy from taking this medicine like i do when i take dayquil. It has always been hard to find medicine that is non prescription that is completely effective against nasal congestion. This is a big problem with me, but once i started taking this medicine it has been a great relief! Another thing is for being a syrup medicine it didn't have that bad of a taste and the medicine taste didn't linger in my mouth. I have always kinda held off when taking medicine even if i needed it if it has a bad taste, so this surprised me! You can also take a nap even after you have taken this medicine. Some daytime medicines keep me up even when i wanted rest. Children twelve years and older can take appropriate doses of this medicine. All in all I am impressed with this product!